The Japanese-influenced architecture of the building features many of Wright’s signature touches — cantilevered balconies, strong horizontal and vertical lines, and his signature Cherokee red paint on the steel — and though its construction was almost constantly bedeviled by conflicts between Wright and Edgar Kaufmann, the Pittsburgh businessman for whom the house was designed, it remains one of the most widely-visited homes in American history. 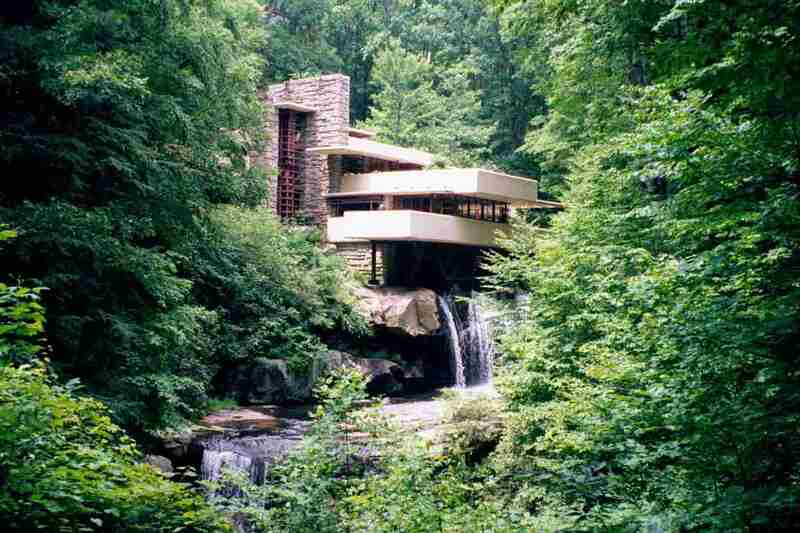 As the name and look of the building might suggest, however, Fallingwater has always been prone to water damage, and just last month, saw its iconic “Mother and Child” statue toppled during a flood. No damage was done to the interior of the house, however, and tours can currently be booked six days a week on its website. Based on a design for a modern home by Life magazine in 1938, the residence was commissioned by Conrad and Evelyn Gordon nearly twenty years later (1957) and completed in 1964. 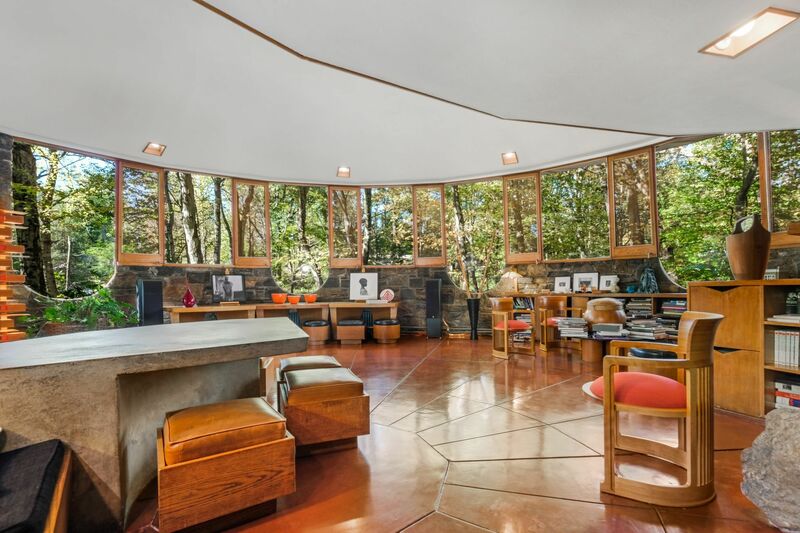 It holds the notable distinctions of being the only house constructed by Wright in the Pacific Northwest (when he was 88 years of age, no less) as well as the final Usonian designed home of his career. Originally located near the Willamette River in Oregon, the house was actually dismantled piece-by-piece and moved to Oregon Gardens by the Frank Lloyd Wright Conservancy in 2001 to preserve it from destruction by its owners at the time. The house is currently open for tours seven days a week. 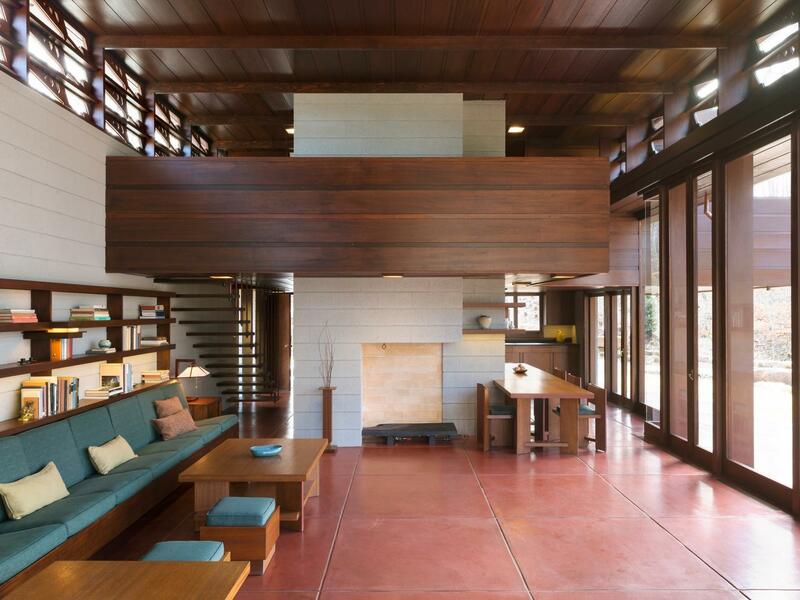 How important is Wright’s Cedar Rock residence, you ask? Oh, only important enough to receive its own state park. Constructed along the banks of the Wapsipinicon River near Quasqueton, Iowa, in 1950, Cedar Rock is one of the finest examples of Wright’s “Usonian” style, which would later influence the Ranch houses we see in many American suburbs today. Located in Hollywood’s Barnsdall Art Park, the Hollyhock House was the first Wright-designed residence in Los Angeles. Commissioned by Aline Barnsdall, an eccentric oil heiress, the structure recently underwent a comprehensive $4.35 million conservation effort. Built between 1919 and 1921, the Hollyhock House originally served as Barnsdall’s own venue for producing avant-garde plays. It later became a performing arts complex that included Barnsdall’s private home. In 1927, Barnsdall deeded the site and its structures to the city of Los Angeles. 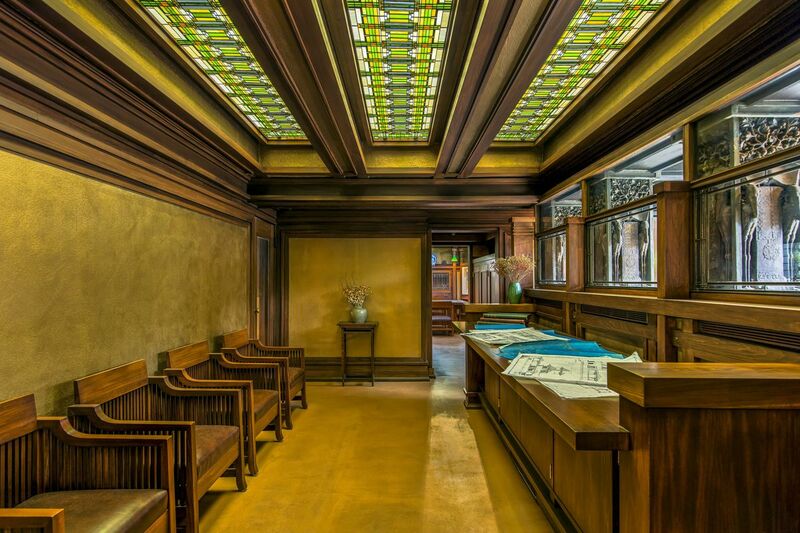 The Hollyhock House underwent a major restoration in the mid-1970s and opened as a public museum in 1976. 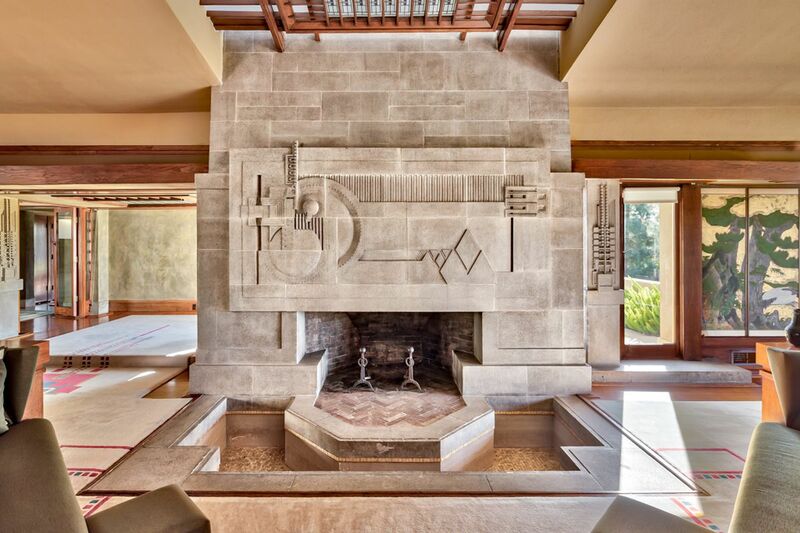 The Hollyhock House represents Wright’s earliest efforts to develop a regionally appropriate style of architecture for Southern California. A remarkable combination of house and gardens, each major interior space in the residence adjoins an equivalent exterior space, connected either by glass doors, a porch, pergola, or colonnade. The Hollyhock House was designated as a historic cultural monument by the Los Angeles Cultural Heritage Commission in 1963 and was listed as a National Historic Landmark in 2007. The Hollyhock House is open for self-guided tours Thursday-Sunday and private docent-led tours Tuesdays and Wednesdays. 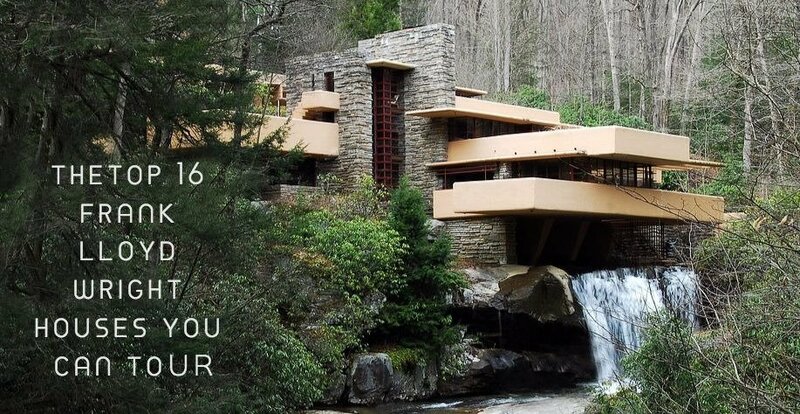 Arguably Wright’s most revered residence, Fallingwater is truly awe-inspiring and almost otherworldly. 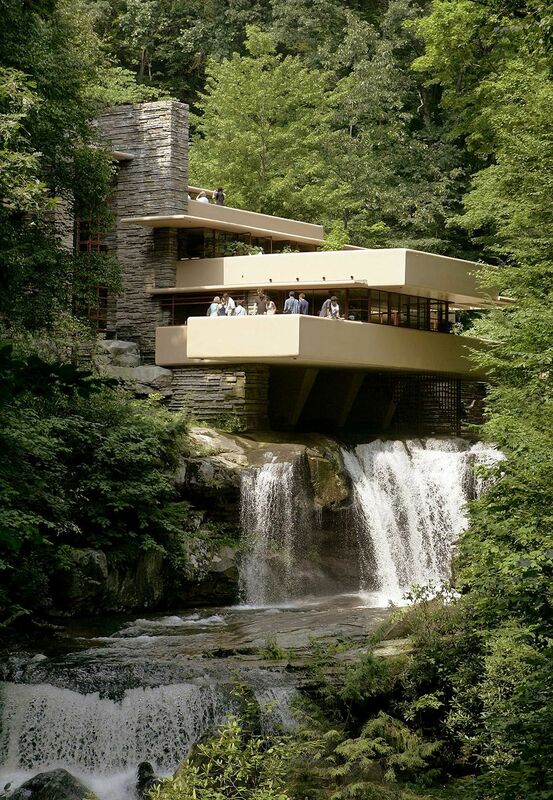 Built over a thirty-foot waterfall in Bear Run, Pennsylvania, Fallingwater appeared on the cover of Time magazine in 1938, was named the “best all-time work of American architecture” by the American Institute of Architects, and is listed among the Smithsonian Magazine’s List of 28 places “to visit before you die” (among other accolades). 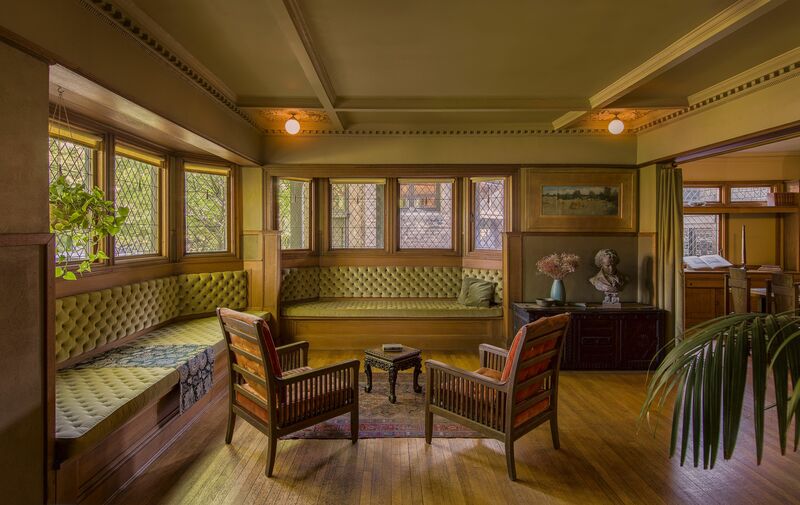 While Chicago is home to many a Wright masterpiece, the Emil Bach House is unique in that it’s available as a vacation rental and an event venue. Built in 1915, the home is an example of one of Wright’s late Prairie Style residences, designed shortly before he shifted to a more expressionist aesthetic. Crisp and commanding, the two-story abode recently underwent a comprehensive restoration, which included recreating the home’s original built-ins and reviving its once-lush landscape. If you just want to pop in, the Emil Bach House is open for tours on Tuesdays and Wednesdays from May through September. 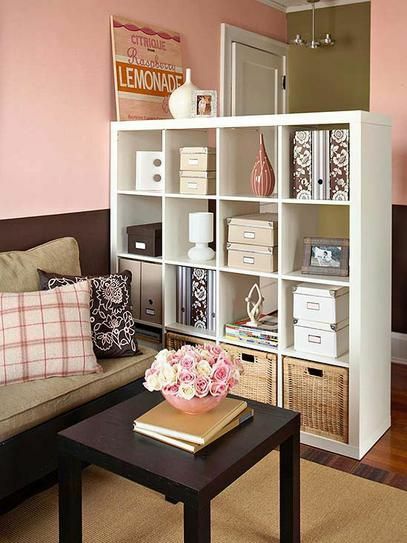 You can book for a tour or rent the property for a weekend on the house’s official website. 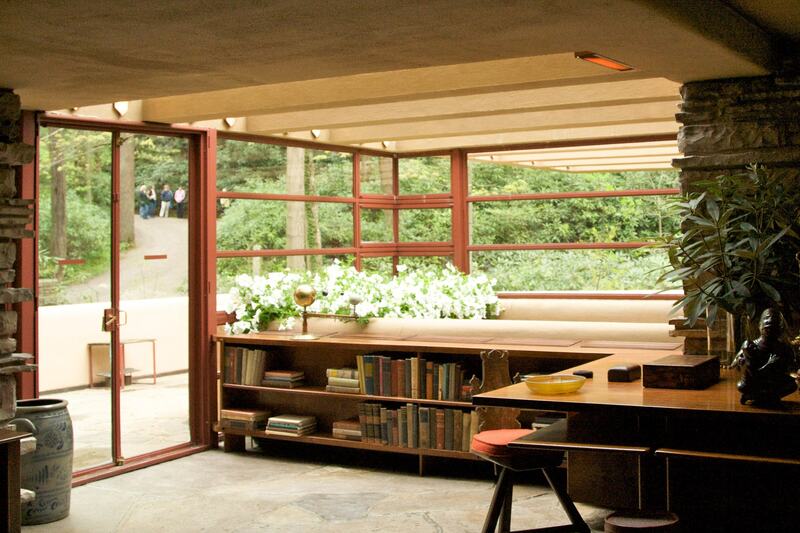 Let’s start with Wright’s first home, shall we? Built in 1889 when Wright was only 22, his Oak Park residence served as the architect’s laboratory where he experimented with concepts that led to the development of his iconic Prairie Style of architecture. Adjacent to the home is Wright’s studio, which buzzed with fellow artisans and architects. Originally quite small, Wright designed a number of additions during the twenty-year period in which he lived in the home with his wife and six children. 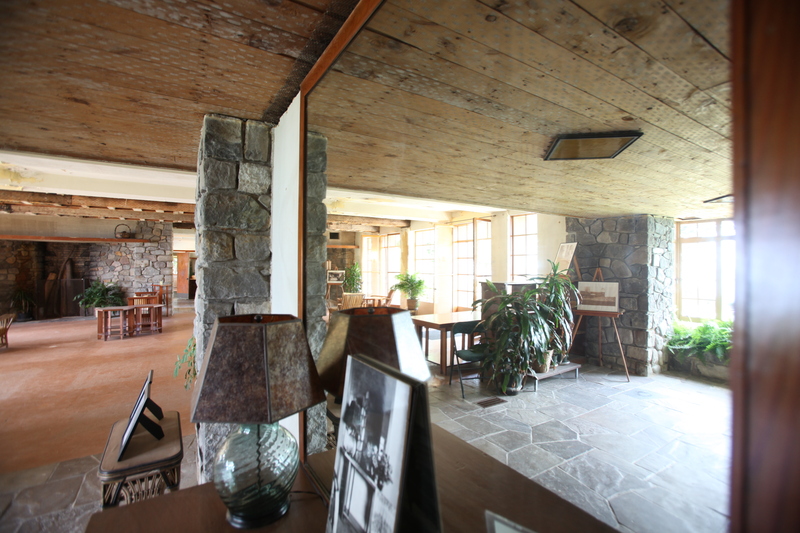 A National Historic Landmark, the Home and Studio is owned by the National Trust for Historic Preservation and has been restored, maintained, and operated as a museum by the The Frank Lloyd Wright Preservation Trust. 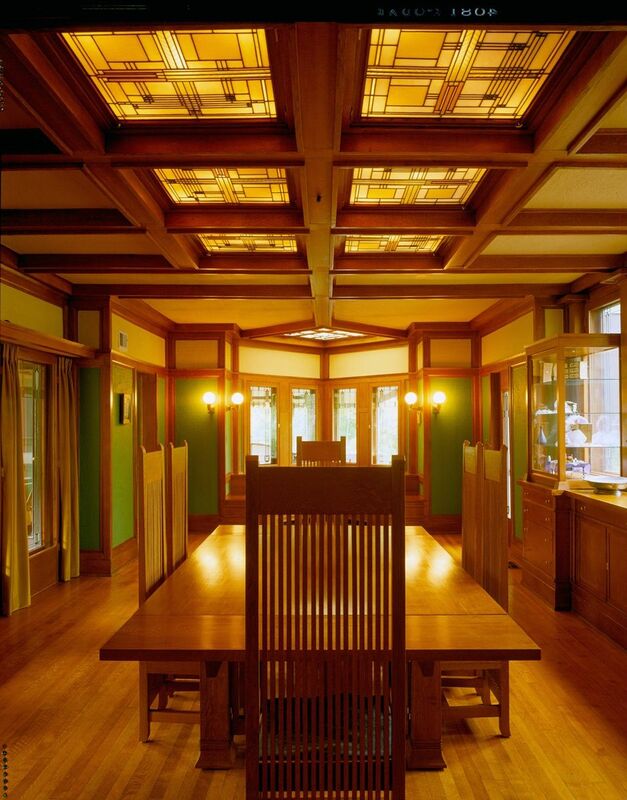 Both the Home and Studio are open for tours and, when you’re done, you can take a self-guided audio tour of the Oak Park neighborhood, which boasts the world’s largest collection of Wright-designed buildings. Built for newlyweds Stanley and Mildred Rosenbaum in 1939, the Rosenbaum House is the only Frank Lloyd Wright-designed structure in Alabama. 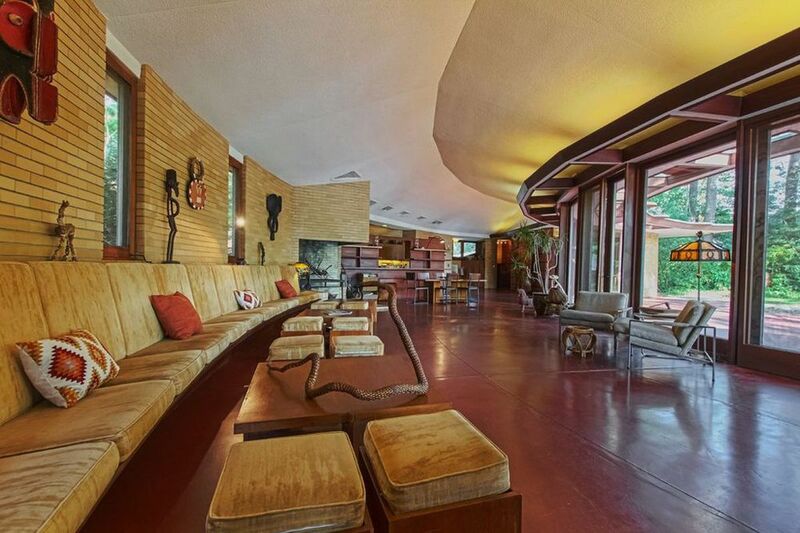 One of the architect’s Usonian homes, which Wright began designing in 1936 with middle-income families in mind, the Rosenbaum House features many of the style’s defining elements such as a flat roof, a compact layout, native materials and a strong visual connection between indoor and outdoor spaces. The Rosenbaums remained the sole owners of the home until 1999, when the city of Florence acquired the structure. The home underwent a thorough and much-needed restoration and now operates as a public museum. The Rosenbaum House is open for tours Tuesday through Sunday. 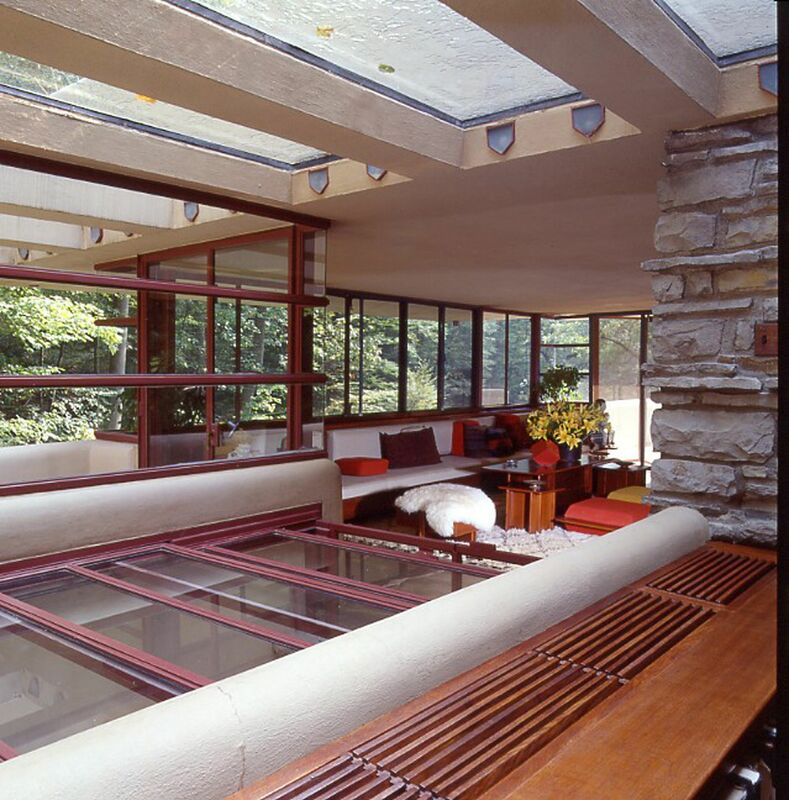 As Wright’s career advanced, he began to incorporate glass into his designs in bigger and bigger ways, believing it to be the purist way for a home and its occupants to interact with the natural world that surrounded them. 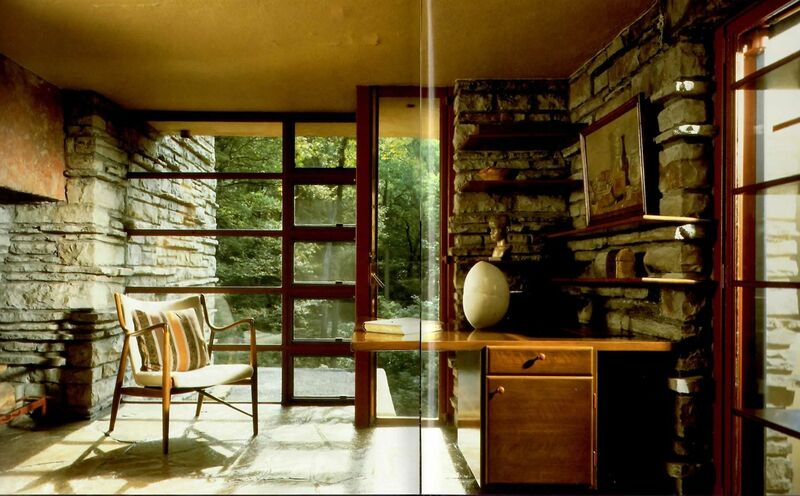 Wright often compared glass to the mirrors of nature — rivers, lakes, and ponds — and few of his Usonian masterpieces drove this philosophy home better than the Gordon House, a two-story with cedar and painted cinder block walls that give way to twelve foot, floor-to-ceiling windows and French doors placing the great outdoors just steps away. The Martin House Complex, Buffalo, New York. Photo by Bernhard Wagner. Courtesy of The Martin House Complex. Designed by Wright for his son David and daughter-in-law Gladys in 1950, the David Wright House, at the base of Camelback Mountain in Phoenix, Arizona, is one of the architect’s most significant works and is widely considered his final residential masterpiece. Perched atop a sweeping cliff side overlooking Lake Erie, Wright’s Graycliff estate is considered to be not only one of his more ambitious projects, but also one of the most important works of his mid-career “organic” style. The three-building, 8.5 acre complex was designed as the summer home of Isabelle R. Martin and her husband, Buffalo entrepreneur Darwin D. Martin, both of whom grew to become close friends of Wright’s by the time the daunting establishment was finally completed in 1935 (having begun construction some 10 years earlier). 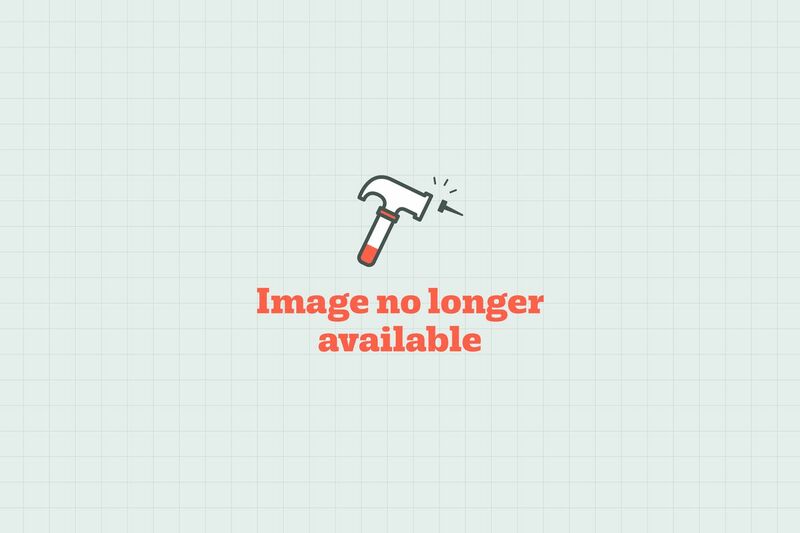 The result of such a lengthy ordeal? A gorgeous stone and glass mecca of modern intuition featuring cantilevered balconies, expansive terraces, and a revolutionary pavilion-like center of transparent glass walls in its largest section, which allows visitors to see through the building and to the lake beyond. 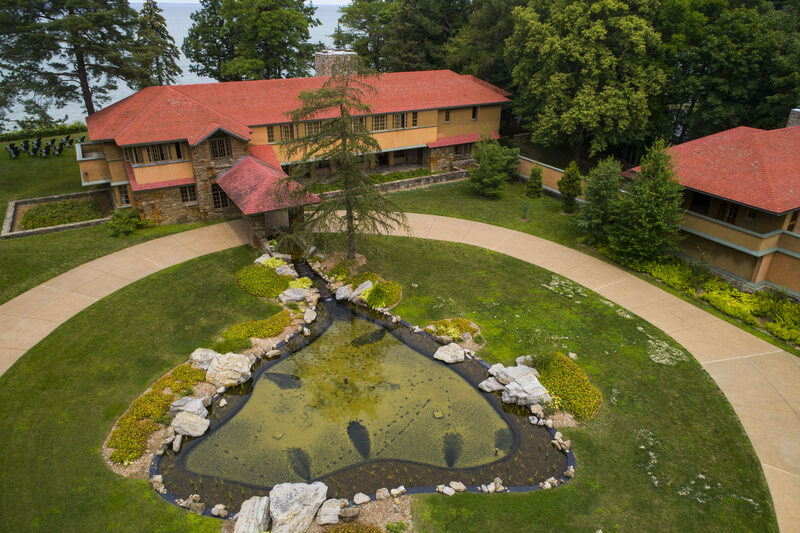 Surrounded by grounds and gardens personally designed by Wright, Graycliff has rightfully been dubbed by some as “The Jewel on the Lake.” Tickets for a variety of tours can currently be purchased at the estate’s website. The John and Catherine Christian House. Image courtesy of Alexander Vertikoff. One of Wright’s finest architectural accomplishments originally consisted of five residences combined within a single complex in Buffalo, New York. Built for businessman Darwin D. Martin and his family between 1903-1905, the buildings epitomize Wright’s Prairie style and are considered to be his most successful in this genre. Consisting of nearly 30,000 square-feet, the interconnected structures include the Darwin D. Martin House, George and Delta Barton House, pergola, conservator, and carriage house; a gardener’s cottage was erected in 1909 and a visitor pavilion in more recent years. To this day, Wright’s legacy continues to live on through both museum exhibitions across the country — the Milwaukee Art Museum and MoMA both celebrated the 150th anniversary of his birth this year with retrospectives — and the abundance of his structures that remain intact and open to the public. Thanks to the efforts of non-profit organizations, countless devotees, scholars, preservationists and curators helping keep these treasures alive, Wright’s work continues to inspire new generations of designers and design lovers. While there are numerous must-see Frank Lloyd Wright structures scattered across the United States, we’ve selected the 16 best residences we feel exemplify Wright’s pioneering vision and relentless quest to create efficient and beautiful places to live. Also built in 1915, the Allen House is considered the last of the Prairie Houses. Deemed “among my best” by Wright, the home exemplifies the architect’s philosophy of living in harmony with the natural world as well as Wright’s growing interest in Japanese design. 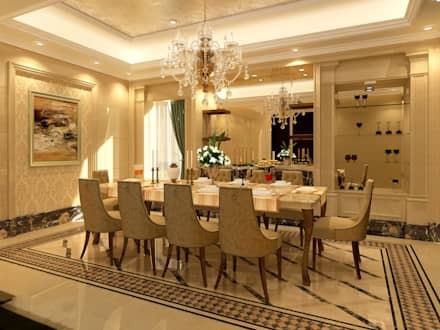 These characteristics are beautifully apparent in the home’s living and dining rooms, which wrap around a sunken garden complete with a large pond filled with water lilies and Koi fish from Japan, united by a quarry tile terrace. For the home’s built-ins, bookcases, and movable furniture, Wright worked with frequent collaborator George M. Niedecken. Twenty-three pieces of original furniture are on long-term loan from The Wichita State University Endowment Association, while artworks collected by Henry J. Allen’s wife, Elsie Allen, are on loan from Baker University and The Wichita Center for The Arts. The Allen House is operated by the The Allen House Foundation, a private organization established to create a world-class Wright house museum and study center. For a complete listing of scheduled tours, visit the foundation’s website. Located just six miles from Wright’s seminal Fallingwater, Kentuck Knob is a compact, one-story Usonian house designed on a distinctive hexagonal module. Striking yet serene, the house stands 2,050 feet above sea level and was constructed using native sandstone and tidewater red cypress, allowing the residence to blend naturally with the surroundings. An open floor plan, cantilevered overhangs, and great expanses of glass further integrate the property’s indoor and outdoor spaces. 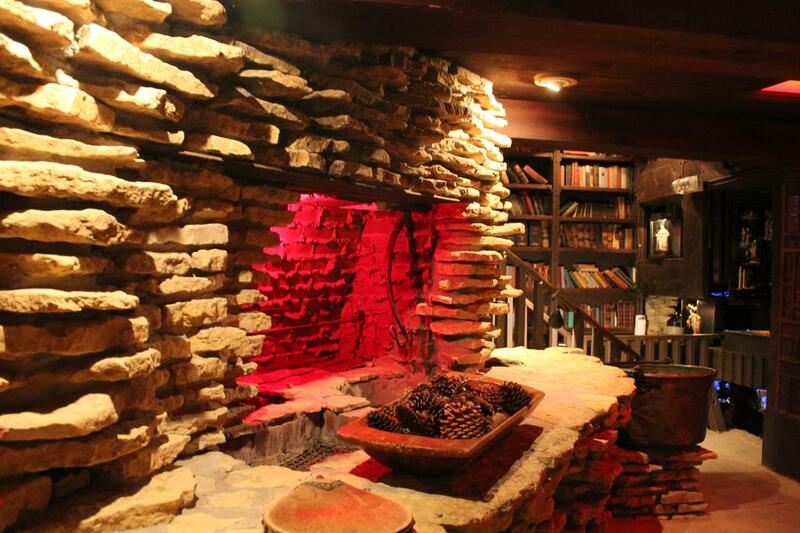 Kentuck Knob’s current owners purchased the house in 1985, and are committed to preserving and maintaining the residence for the enjoyment of the public. The home, which features the owner’s illustrious art collection, including an array of outdoor sculpture, is open for tours year-round. The smaller of the two houses, The Barton House, was Wright’s first commission in the Buffalo area; besides The Martin complex, he would go on to design structures for five other commissions, second only in number to those in the Chicago area. Intended for Martin’s sister and her husband, The Barton House also reassured Martin in Wright’s ability to carry out the former’s vision of a family compound. Nearly 400 examples of Wright-designed “light screens” (art glass) remain on the property, including windows, doors, skylights, etc. In addition, fifty-five pieces of Wright-designed custom furniture remain, among the most extensive produced in Wright’s Prairie period (ca. 1900 – 1913). The Darwin D. Martin House received National Historic Landmark status in 1986. Damage through the years, however, resulted in the demolition of three of the original five buildings. Since 1992, the Martin House Restoration Corporation (MHRC) has raised funds for and is overseeing a complete restoration of the complex, beginning in 1997 and continuing today. Tours are offered year-round and buildings are available for rental. 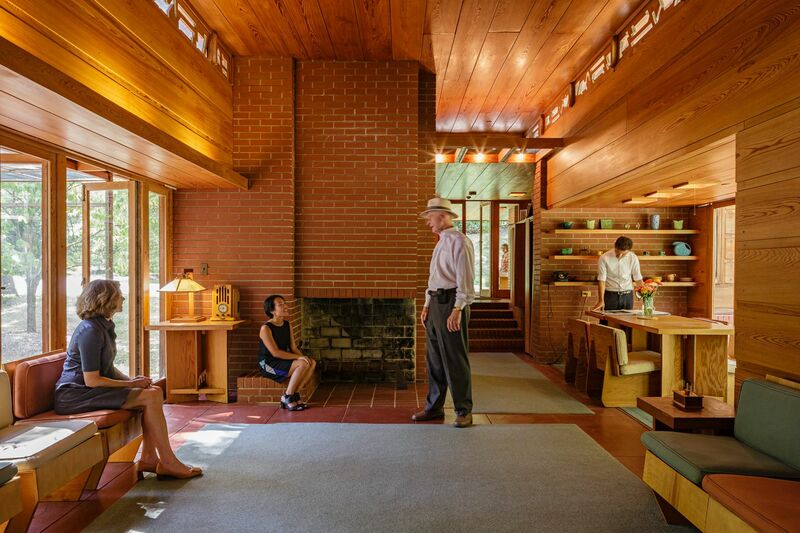 Designed for a Purdue University professor and his wife, the John and Catherine Christian House (also known as SAMARA), is a bold and inviting example of Wright’s Usonian architecture. John and Catherine, who were working with a decidedly modest budget, first approached Wright in 1950, when he was already a well-established architect. Much to their surprise, Wright agreed to the undertaking with only one caveat — that they see Wright’s design through to full completion, no matter how long it took. Completed in 1956, only three years before the architect’s passing, SAMARA stands as a monument to Wright’s abiding dedication to his clients (and vice versa) as well as a testament to his innovative design philosophies. Tours of SAMARA and the surrounding property are available by reservation April 1st through the end of November. 737 Frenchmans Rd, Stanford, CAThe Hanna-Honeycomb House. Image Courtesy Wikipedia Commons. The magnificent Frederick C. Robie House is located in Chicago’s well-known Hyde Park neighborhood. Built in 1910, the Robie House stands as both the consummate expression of Wright’s Prairie style and an icon of modern architecture. 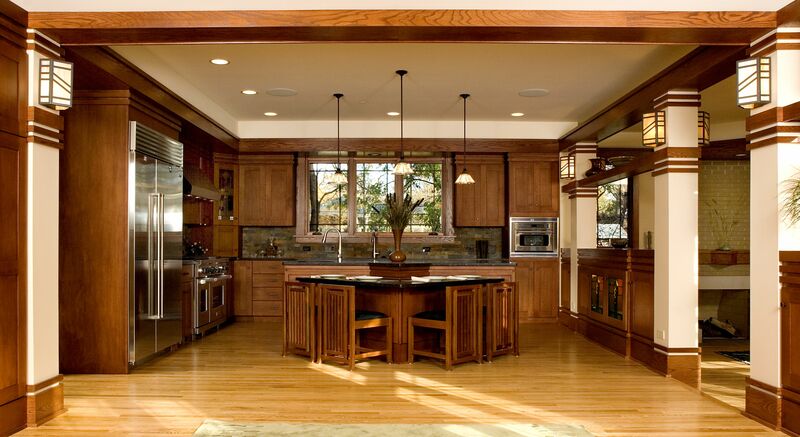 Defined by its horizontality, brilliantly simple open floor plan, masterful use of materials, and seamless integration of indoor and outdoor spaces, the home is widely regarded as Wright’s most innovative and forward-thinking Prairie house. The Robie House is open for tours, which takes guests through the home’s playroom, entry hall, living room, dining room, guest room, master bedroom, butler’s pantry and kitchen. A private space tour is also available, which offers a rare glimpse at the home’s servant’s wing, billiards room, and third floor. Both Wright’s first work in the San Francisco region and his first work with non-rectangular structures, the Hanna House (also known as the Hanna-Honeycomb House) was designed as part of a 25-year collaboration with Stanford Professor Paul Hanna and his wife, Jean. 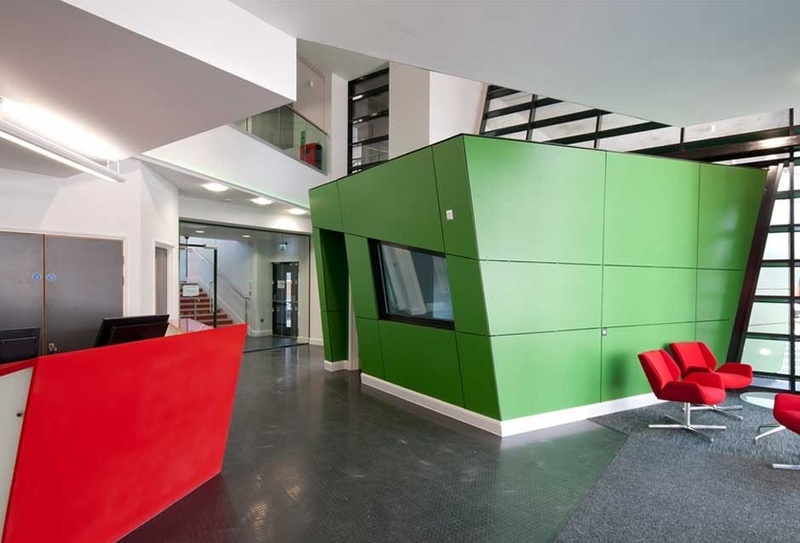 Set upon a hexagonal floor pattern with a distinct lack of right angles — hence, the “honeycomb” designation — the building serves as one of the earliest examples of open floor planning that would be featured in many of Wright’s future homes. In keeping with Wright’s “organic architecture” philosophy, the Hanna House actually completes the hillside on which it is set, and is constructed of native redwood boards and San Jose brick. The house has been open to the public ever since a lengthy restoration was completed in 1999 following the 1989 Loma Prieta earthquake; contact Hanna House for tour information. 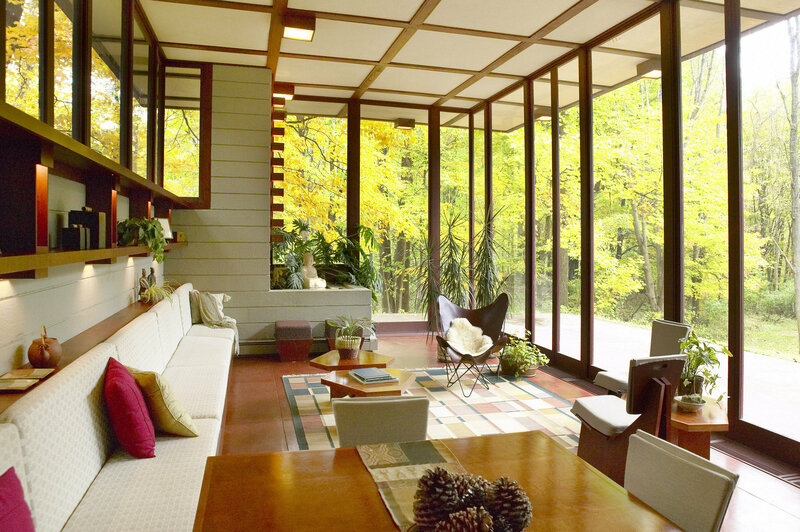 Like many of Wright’s Usonian homes — which were designed not for his typically affluent clientele, but for middle class, everyday families — Cedar Rock’s plans were laid out on a grid to allow for greater standardization of the materials used to construct it (many of which were left unpainted to additionally reduce costs). 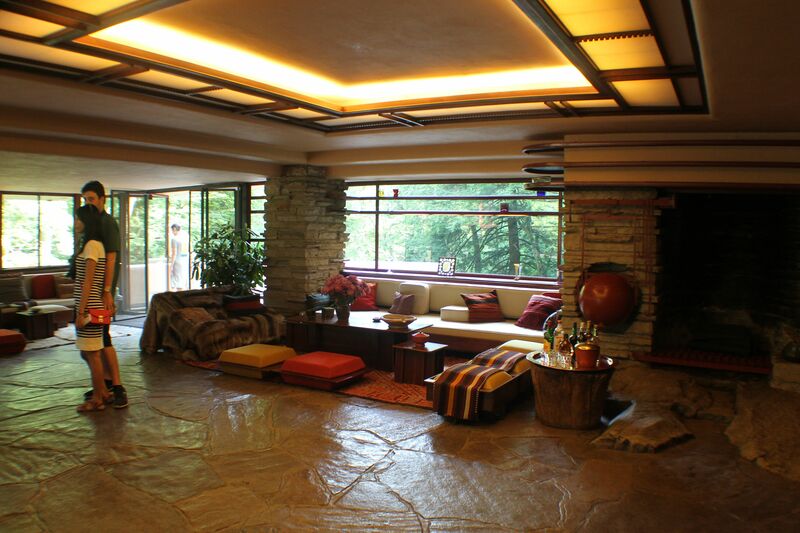 What separates Cedar Rock from many of its Usonian counterparts, however, is the degree to which its interior bears Wright’s fingerprint: the furniture, the carpets, the draperies, and even the accessories were handpicked and designed by Wright and remain inside the house to this day. The residence is open to the public for tours Memorial Day Weekend into October, Thursday through Sunday, and can be scheduled by contacting the Cedar Rock State Park visitor center. Set on ten acres and surrounded by citrus groves, the home’s spiral design foreshadowed one of Wright’s most seminal works — the Solomon R. Guggenheim Museum in New York. The spectacular home was donated by the David and Gladys Wright House Foundation to the School of Architecture at Taliesin earlier this year, in an effort to “further the School’s mission of educating students to build a more sustainable, open, and beautiful world while fulfilling the potential of the David Wright House to have a perpetual life as a world-class center for design.” Though public tours are temporarily closed, you can take a virtual tour of the building on its official website. Widely considered Frank Lloyd Wright’s first Prairie-style home, the B. Harley Bradley House opened up the floodgates for a slew of residences with strong horizontal lines and open interiors. Inspired by the natural tallgrass prairie that surrounded Kankakee, where the B. Harley Bradley House is located, the spacious home has served as a residence as well as a factory, a restaurant, and a law office. Between 2005 and 2008, the home underwent a comprehensive restoration that returned it to its original understated grandeur. Designed in 1900, the residence is included in the National Register and sits next to Wright’s Hickox House. The B. Harley Bradley House is operated by Wright in Kankakee, a nonprofit corporation formed by a small group of community preservationists and philanthropists. 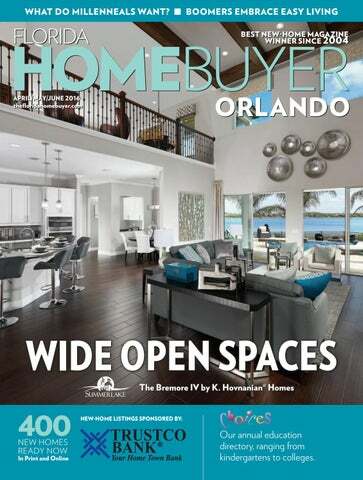 The home is open for tours seven days a week.